And now... the FINAL of the prizes competition "Vote... The Best"! Within this phase, you've to perform the most difficult choice among the 15 finalists and select your favourite as the best specimen and the best photo of the whole Collection. You have 2 weeks to make your choice! On next 11th of July the winners and the prizes of the competition will be drawn. I still recommend to all the partecipants to write their email in the corresponding textbox; in the last round, in fact, I continued to receive many "anonimous" votes and your email is the only way I can identify the partecipants, draw the winners and contact them to ship the prizes. Good luck ! This month the updates concern, as usual, the Wallpaper section, where you can find eight new pictures at high resolution, now devoted to the green colour: tourmaline, titanite, dioptase, demantoide, diopside, vesuviana, epidote... there is enough for everyone! 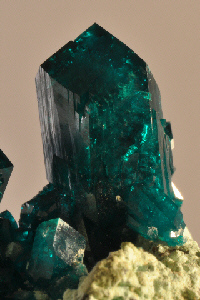 Within the Collection, the new entries are: an amazing Dioptase from Kaokoveld, a very nice sceptre of Quartz from Slovakia and an awesome specimen of Benitoite, a mineral I was looking for a long time. Have a look to the single cards, by clicking on the pictures below! 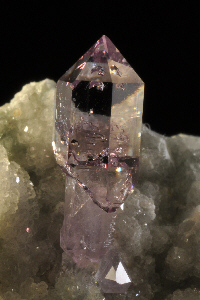 I add a special page to a Guest Star coming from the Travaglini Collection: a spectacular sceptre of Amethyst from the famous Capurru Quarry, Osilo, Sardinia. 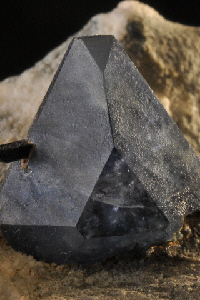 During the last month, the collection increased because of the awaited Bologna Mineral Show (held between the 26th and the 28th of March) and some other purchases made on the Web. In this page you can have a sneak preview of all the new entries (with the links to the corresponding full-pages) and a general comment (very personal, indeed) on the show itself. This website updates concern the two sections Wallpapers and About Us. I've dedicated the month of April to the "red" color and the pictures (at high definition) you can download here refer to some astonishing spessartine coming from Asia, an Uvite from Brazil, a Cinnabar from China and a Spinel from Burma. 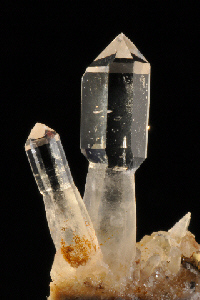 The news about my mineralogical skill now include my dear friends Fabio Tamagnini and Paolo Rossi (R&T Minerals): thanks to their own activity, my collection was notably enriched during the last years, by many aesthetic specimens coming from China and other important localities. Have a look to the news, by using the Main Menu! Here we are... Let's start! The same Menu includes some other simple item. The About us section, for instance, includes some information about me and my love for minerals and the Wallpaper section make some high resolution picture available to who is interested in using it as a possible desktop wallpaper; in the Links you can find some useful and interesting websites on minerals, while in the section you are seeing just now I hope to include (with a sort of periodicity) all the News concerning the collection or other informations (Mineral Shows, searching activities and so on) worthy to be reported. Pertaining to the Shop, I hope (in the next future) to be able to insert some specimen which is going out from the collection (probably due to some new acquisition) and then I can dismiss. At present, the site is not completed. Beyond the Shop section (characterized by a rather sad "Under Construction" logo), some mineral file card is still missing and some pictures are probably to be replaced. I have also noted that the view of many pictures strictly depends (more than I expected) on the monitor, its own setup, the adopted graphic resolution, etc. Anyway, I will do my best to update the site, by inserting the missing contents, improving the existing ones and (hopefully) adding new items, in the attempt of making the site "alive" and interesting for all of you.